Please Log-in to open resources. You are not authorized for these resources. Atlab STEM Academy, the world's leading educational solutions provider and some international names in STEM (science, technology, engineering, mathematics) solutions has devised a customized curriculum suited to Indian systems. It guarantees student success through a holistic learning approach, combining text, videos, ICT and real world, hands-on activities. 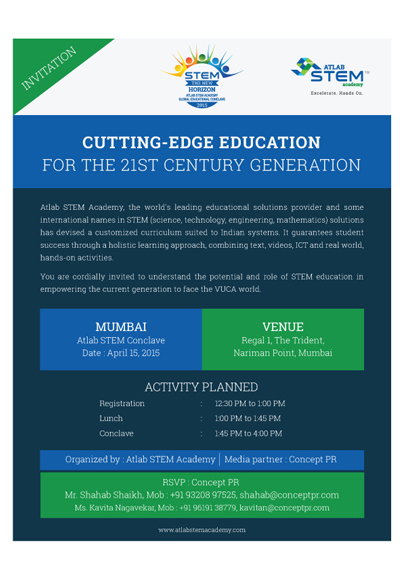 You are cordially invited to understand the potential and role of STEM education in empowering the current generation to face the VUCA world.